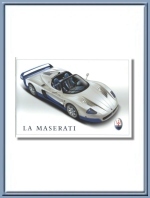 2005 La Maserati Company Profile Brochure. 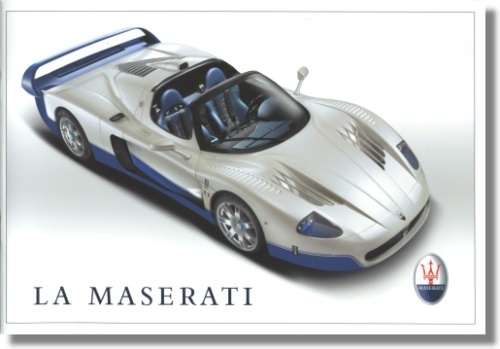 This 2005 version contains 28 inner pages with countless color photographs and cover the Quattroporte, the Officine Alfieri Maserati Personalisation Programme, the Coupe Cambiocorsa and Coupe GT, the Spyder Cambiocorsa and Spyder GT, the Spyder 90th Anniversary, the Gransport and the SPECTACULAR MC12. Maserati print# 920001134, issued in 2005.